Click here to contact the Clare County Election Administrator. Register to vote in Michigan. April 23, 2019: In the late afternoon/early evening hours of Monday, April 22, 2019 the City of Clare experienced an increased amount of iron within its municipal water distribution system. Upon detection, the City's DPW began flushing hydrants to purge the iron from the City's water distribution mains. Prior to the flushing which continued through Monday evening and into Tuesday morning, it is possible that water customers could have received water that has a rusty appearance. If rusty water is noticed it is recommended that water customers run a steady stream of water from a kitchen or bathroom faucet for up to a half hour or until the water runs clear. The source of the increased iron in the water system is still being investigated but is believed to be related to the aged water plant, improvements of which began earlier this spring. Please call the City's Water Department at 989-386-7541, extension 201 if you have any questions. In accordance with federal requirements, the City of Clare's Title VI Plan can be downloaded as a PDF document. The Clare City Commission meets April 15. Minutes from the March 18 meeting are now available. Here Come the Eggs! Look Out Below! Join us as we celebrate the beginning of spring with our annual egg drop event. Pilots from the Clare Municipal Airport will be on hand to drop over 1,500 plastic eggs from an airplane! There will be eggs that can be recycled in for candy and there will be some specially marked prize eggs (donated by local businesses). 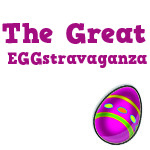 Youth ages 12 and under are welcome to retrieve the eggs and to redeem them for candy. Before and after the event there will be children’s activities and in addition, The Easter Bunny will be stopping by. Parents please dress your children warm and bring an Easter basket! Also, don’t forget the camera! If there is inclement weather, the planes will not be able to fly, however we will still have an egg “hunt” on the ground. Additional volunteers are needed before and during this event. If you would like to volunteer, please contact Parks and Recreation at 386-7541 x213 or jsimmer@cityofclare.org. WHO: Children ages 12 and under! Please allow yourself enough time to park, register, and prepare for your drop. Please note that participants must be ready 15 minutes prior to each drop time. TIME: In an effort to accommodate the large number of people expected for this event, THREE drops will be planned, each according to age. The drop times are listed below. *** If you have children in multiple age groups, you can have children in the 11:30 a.m. drop. Please note that parents must accompany small children in the 0-4 age group on the field for the drop.There will be activities for the children from 10 a.m. – 12 p.m.
Sign up to receive local emergency alerts and advisories by clicking the button below. Additionally, this service allows you to provide proactive information to 911 and first responders should an emergency arise. Documents on our website are posted in Adobe PDF format for quick loading and reliability. In order to view these files, you will need to have the free Adobe Reader application installed on your computer. You may download this software free here. Welcome to our website! Our homepage has been designed to provide quick access to recent and relevant City of Clare information. You may filter this information using the category selection menu icons on the left. They are, in order from top to bottom, Home, Latest News, Local Info, and Help & Site Info. The menu at the top of the page breaks down the full content of the site into 3 categories for easy selection: Residents, Services, and Government. Hover over any section to view the pages within. You may also use the I Want To... section to find exactly what you're looking for in a contextual menu. The navigation structure on this site has been completely redesigned to provide quick access to every page on the site with one click. You may also view the site map to see a comprehensive listing of all pages.